Any surfer worth his salt knows that he can not fight the wave. She knows that play, that forgotten four letter word from childhood, is essential to all learning. 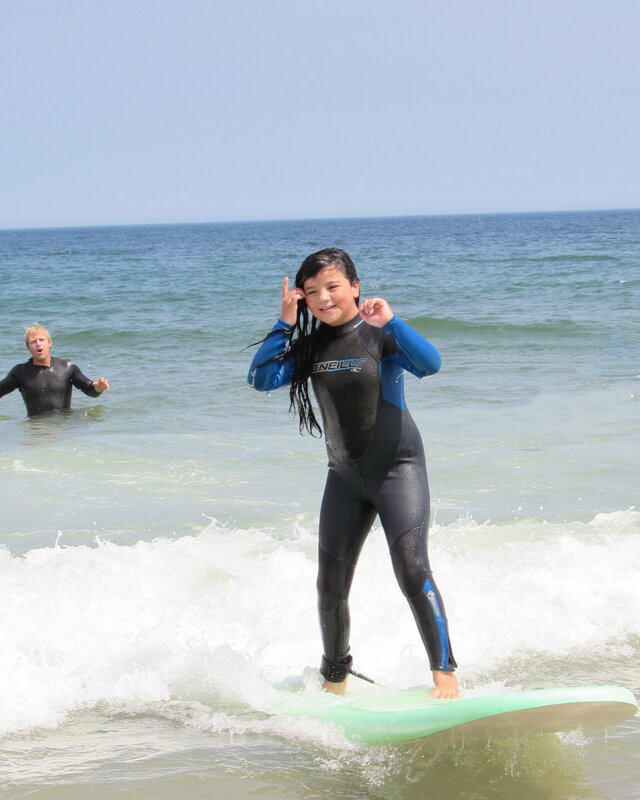 At Nauset Surf School we provide you the tools and knowledge to become a surfer. All you need is curiosity and energy. Naturally children take well to the waves, but anyone with a youthful spirit can learn quick. We have taught people from 4 to 74 years old. We believe in learning by doing, therefore, we will maximize your time in the water and on the waves. Expect to be exhausted and humbled, but also, to stand up on your first day. Wether this will be your first time in the water or you're looking to strengthen your surfing, taking a private or group lesson will be a summer highlight. While in most cases summer on Cape Cod is paradise, occasionally we experience a stormy or flat day. All lessons are subject to rescheduling if necessary, but we will do our best to do so at a time that works best for you. Check out this awesome video some of our surfers made.